Home Bing Tricks Free HD Wallpapers Wallpapers Bing Image Search Is Really Cool For Searching Wallpapers. 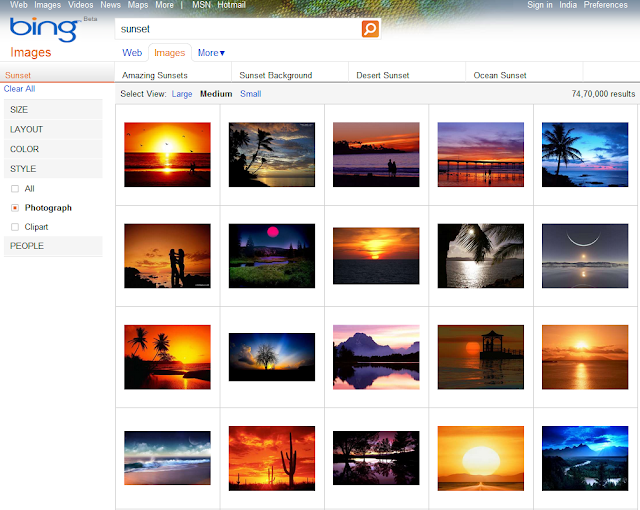 Bing Image Search Is Really Cool For Searching Wallpapers. I was searching for a better way to download cool desktop wallpapers. I was doing a lot of Goggling, and wasn't really getting the kick so just tried my hands on Bing and bingo I really liked it. Bing Images really organize the image search results in a much more simpler, crisper and cooler manner. The image results are very much evenly laid and look really nice and professional. 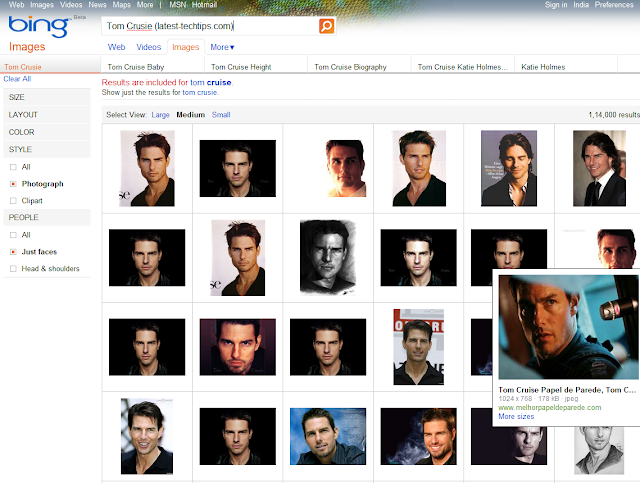 Bing images also gives you option to search for images containing only faces, that comes in very handy when you are searching for some people in images example celebrities or any famous politician or any person. 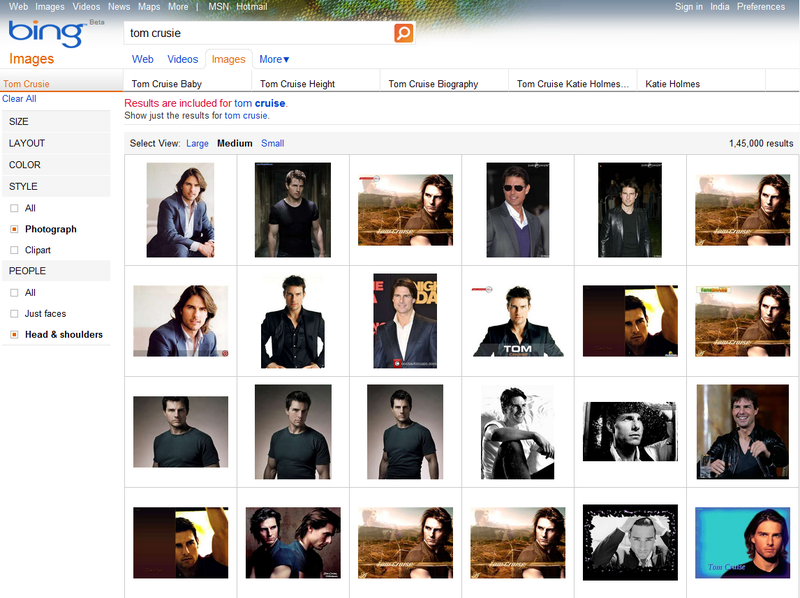 You can also search for images with Head and shoulder as well i.e. not just faces but even some part of the body. No you can download really awesome wallpapers of your favorite Bollywood, Hollywood actors / actresses or wild life photographs or even cool clip arts for that matter for your important PPTs. Searching images on Bing is some real fun.